Oops, I forgot to post this earlier. Still, since the .menu gTLD came on stream today, I suppose it’s topical again. Just in case anyone missed it when it came out, here’s an interesting report compiled by DNJournal. They invited 17 domain industry experts to share their views on what happened in 2013 and how they think the new gTLDs will impact on 2014. It’s quite a long read but it gives an interesting overview of how the experts are thinking, so it’s probably worth a look if you’re interested in speculating in domains. I do think there will be those that are blinded by new gTLD marketing and will be enticed to jump in with both feet. They will either drop or liquidate some of their .com names to use for participation in the new gTLDs. I will be looking out for those drops or liquidations. Do you agree with him? Will you be hoping to pick up some of these liquidated assets, or will you be selling your .coms to move into gTLDs? It’s hard to predict what the future holds, and I am often wrong with my predictions – especially when it comes to domains. Back in the day, I never believed that .infos would go anywhere. Registrars were so keen to get these selling they were giving them away in batches. (Obviously there was the catch of renewal fees, etc.) I got 50 of them – just because I could – and then I gave them all away. Mind you, everyone else who wanted any was getting 50 at a time free too, so they weren’t perceived as being worth anything. And now look at the prices some of them go for! I think they also increased in popularity, along with the .orgs, because they were a flavour of the month for AdSense sites. Apparently they looked as though they weren’t commercial. That was the theory anyway, but I’m not sure exactly who was supposed to be fooled by the non-commercial nature of an MFA on a .info. But sometimes you don’t want to just sit there and watch opportunities pass you by, so you’ll maybe buy a couple “just in case”. That’s what I did when the .co came out. I did take a punt on a couple of them. I’ve no idea if they’ll ever be worth anything and have to say it’s not looking too promising so far. Overall, I can’t really say that I’m excited by the new gTLDs. Certainly not to the extent of selling something else to fund a purchase. But if my ability to predict the domain market performs to its usual 100% wrong standard, you probably ought to rush out and buy some now. 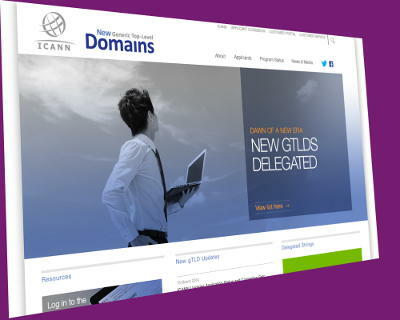 Did you buy any domains on the new gTLDs? Care to share why or why not? Please add your comment below.